Thats all. Game finished - Veracruz 2, Querétaro 2. Second Half ended - Veracruz 2, Querétaro 2. Missed chance. Edson Puch - Querétaro - shot with right foot from outside the box missed. Assist - Camilo Sanvezzo. Enrique Pérez - Veracruz - won a free kick in defence. Goal! 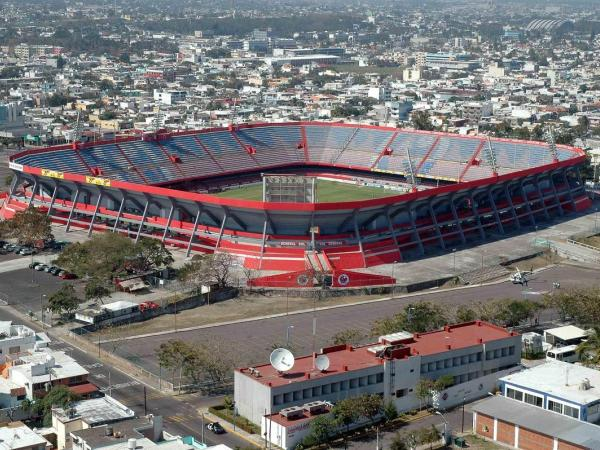 Veracruz 2, Querétaro 2. Hiram Mier - Querétaro - shot with the head from the centre of the box to the right corner. Assist - Everaldo with a cross after corner. Corner - Querétaro. Conceded by Sebastián Jurado. New attacking attempt. Wilder Cartagena - Veracruz - shot with right foot from outside the box is saved in the right corner. Assist - Carlos Esquivel. Alexis Pérez - Querétaro - receive yellow card. Osmar Mares - Veracruz - won a free kick in defence. New attacking attempt. Camilo Sanvezzo - Querétaro - shot with right foot from the right side of the box is saved in the right corner. Assist - Daniel Villalva. Javier Güémez - Querétaro - receive yellow card for a foul. Adrián Luna - Veracruz - won a free kick on the left wing. Missed chance. Camilo Sanvezzo - Querétaro - shot with right foot from more than 35 yards missed from a free kick. Cristian Menéndez - Veracruz - receive yellow card for a foul. Delay in match Edson Puch - Querétaro - - injury. Edson Puch - Querétaro - won a free kick in attack. Miguel Samudio - Querétaro - won a free kick on the left wing. Missed chance. Diego Chávez - Veracruz - shot with right foot from the centre of the box missed. Assist - Jesús Paganoni . Diego Chávez - Veracruz - won a free kick on the right wing. Missed chance. Alexis Pérez - Querétaro - shot with the head from the centre of the box missed to the left. Assist - Tiago Volpi . Substitution - Veracruz. Wilder Cartagena for Luis Noriega. Daniel Villalva - Querétaro - won a free kick in attack. Corner - Querétaro. Conceded by Enrique Pérez. Shot blocked. Alexis Pérez - Querétaro - shot with the head from the centre of the box is blocked. Assist - Daniel Villalva. Luis Noriega - Veracruz - receive yellow card for a foul. Marcel Ruiz - Querétaro - won a free kick in attack. Substitution - Querétaro. Everaldo for George Corral. Daniel Villalva - Querétaro - won a free kick on the right wing. Substitution - Veracruz. Diego Chávez for Joe Abrigo. Offside - Querétaro. Camilo Sanvezzo with a pass, however Edson Puch is in offside. New attacking attempt. Camilo Sanvezzo - Querétaro - shot with right foot from outside the box is saved in the left corner. Missed chance. Adrián Luna - Veracruz - shot with right foot from outside the box goes high. Assist - José Hibert Ruiz. Shot blocked. Daniel Villalva - Querétaro - shot with left foot from outside the box is blocked. Assist - Diego Novaretti with a head. Substitution - Veracruz. Carlos Esquivel for Bryan Carrasco. Adrián Luna - Veracruz - won a free kick in defence. Missed chance. Adrián Luna - Veracruz - shot with right foot from outside the box is close, but missed to the left from a free kick. Marcel Ruiz - Querétaro - receive yellow card for a foul. Joe Abrigo - Veracruz - won a free kick in attack. George Corral - Querétaro - receive yellow card for a foul. Shot blocked. Hiram Mier - Querétaro - shot with right foot from the centre of the box is blocked. Missed chance. Marcel Ruiz - Querétaro - shot with right foot inside of six yard box - left side is close, but missed to the left. Assist - Miguel Samudio. Shot blocked. Camilo Sanvezzo - Querétaro - shot with right foot from a diffucult position on the right is blocked. Assist - Daniel Villalva. Joe Abrigo - Veracruz - won a free kick on the left wing. Delay in match Sebastián Jurado - Veracruz - - injury. Goal! 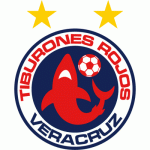 Veracruz 2, Querétaro 1. Alexis Pérez - Querétaro - shot with the head from the centre of the box to the top right corner. Assist - Edson Puch with a cross . Hiram Mier - Querétaro - won a free kick on the right wing. Edson Puch - Querétaro - won a free kick on the left wing. Diego Novaretti - Querétaro - won a free kick in defence. Missed chance. Adrián Luna - Veracruz - shot with right foot from outside the box missed. Assist - Cristian Menéndez. José Hibert Ruiz - Veracruz - receive yellow card for a foul. Missed chance. Joe Abrigo - Veracruz - shot with left foot from outside the box is high and wide to the left. Assist - Sebastián Jurado. Luis Noriega - Veracruz - won a free kick in defence. Missed chance. Camilo Sanvezzo - Querétaro - shot with right foot from the centre of the box is high and wide to the left. Assist - Daniel Villalva with a cross. Substitution - Querétaro. Miguel Samudio for Jaime Gómez. 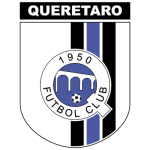 Substitution - Querétaro. Edson Puch for Jordi Cortizo. Second Half starts Veracruz 2, Querétaro 0. First Half ended - Veracruz 2, Querétaro 0. Corner - Querétaro. Conceded by Luis Caicedo. Daniel Villalva - Querétaro - won a free kick in defence. Daniel Villalva - Querétaro - receive yellow card for a foul. Shot blocked. Camilo Sanvezzo - Querétaro - shot with right foot from outside the box is blocked. Luis Caicedo - Veracruz - receive yellow card for a foul. George Corral - Querétaro - won a free kick on the right wing. Jesús Paganoni - Veracruz - won a free kick in defence. Bryan Carrasco - Veracruz - won a free kick in defence. New attacking attempt. Camilo Sanvezzo - Querétaro - shot with left foot from the centre of the box is saved in the left corner. Assist - Marcel Ruiz. Goal! Veracruz 2, Querétaro 0. José Hibert Ruiz - Veracruz - shot with the head from the centre of the box to the top right corner. Assist - Adrián Luna with a cross after corner. Corner - Veracruz. Conceded by Alexis Pérez. José Hibert Ruiz - Veracruz - won a free kick on the right wing. Shot blocked. Alexis Pérez - Querétaro - shot with the head from the centre of the box is blocked. Assist - Jordi Cortizo with a cross. Corner - Querétaro. Conceded by Jesús Paganoni. Alexis Pérez - Querétaro - won a free kick in defence. Shot blocked. Adrián Luna - Veracruz - shot with right foot from outside the box is blocked. Javier Güémez - Querétaro - won a free kick in attack. Goal! Veracruz 1, Querétaro 0. Bryan Carrasco - Veracruz - shot with right foot from the centre of the box to the top left corner. Assist - Adrián Luna following a fast break. Shot blocked. Diego Novaretti - Querétaro - shot with the head from the centre of the box is blocked. Assist - Jordi Cortizo with a cross. New attacking attempt. Luis Noriega - Veracruz - shot with left foot from outside the box is saved by goalkeeper in the centre of the goal. Assist - Adrián Luna. Offside - Querétaro. Marcel Ruiz with a pass, however Camilo Sanvezzo is in offside. Shot blocked. Daniel Villalva - Querétaro - shot with right foot from outside the box is blocked. Assist - Javier Güémez. Bryan Carrasco - Veracruz - won a free kick on the right wing. Shot blocked. Jordi Cortizo - Querétaro - shot with left foot from the left side of the box is blocked. Assist - Camilo Sanvezzo. Luis Noriega - Veracruz - won a free kick in attack. Missed chance. Marcel Ruiz - Querétaro - shot with the head from the right side of the six yard box is very close to the goal. Assist - Jordi Cortizo with a cross .